As part of the ongoing reform of several strata of the Nigeria, President Muhammadu Buhari has disclosed that ministers won’t be having the luxury of awarding contracts or getting corrupt in how contracts are awarded. Speaking with journalists in Washington DC during his four-day visit to the United States, Buhari said ministers would no longer have power to award contracts. 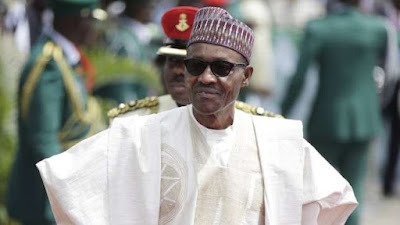 Noting that corruption is one of the top issues facing Nigeria, Buhari disclosed further that his government is taking several steps to end the menace. ‘Corruption is one of the top three issues facing Nigeria, along with insecurity and unemployment. We must act to kill corruption or corruption will kill Nigeria. I am determined to lead that fight. ‘My government is already taking several steps to cut out the cancer of corruption that has been eating away at the state for so long. ‘We are reorganizing the existing plethora of anti-corruption bodies into single powerful agency that will have the focus, power and budget to clamp down on corruption at the federal and state levels,’ the president told journalists.